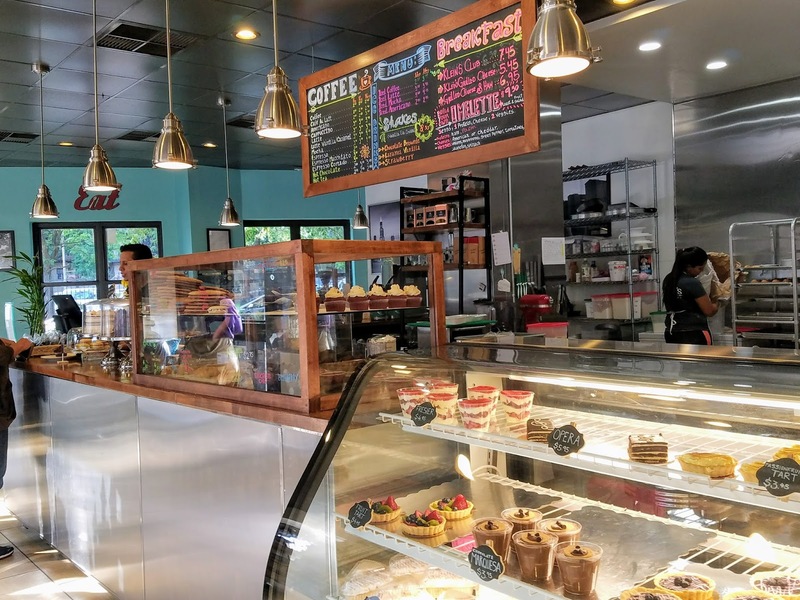 A reader writes: "Was just at Klein's Bakery & Cafe at 4155 N. Broadway and loved the place and the owners. They are young Venezuelans trying to make it after leaving Maduro's dictatorship. It would be great if you guys featured them so they get more exposure. Thank you! The fact that they also bake cakes for any occasion is also great. We needed a bakery in this area." Tough assignment, but we go to any lengths for our readers. 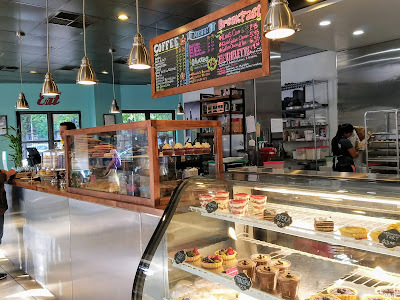 We dropped in for dessert after dinner across the street at Siam Noodle's new location, so we didn't get the full breakfast menu (available until 11am daily). But we did get the desserts. And they were amazing. 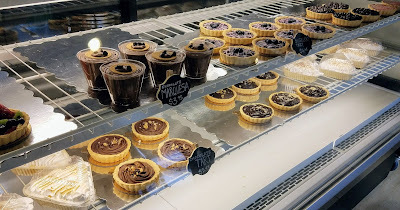 Nutella tarts. Red Velvet cake. Chocolate cupcakes. Fruit parfait. All in a clean, welcoming Tiffany-blue setting that doesn't look a thing like the 7/11 it used to be. 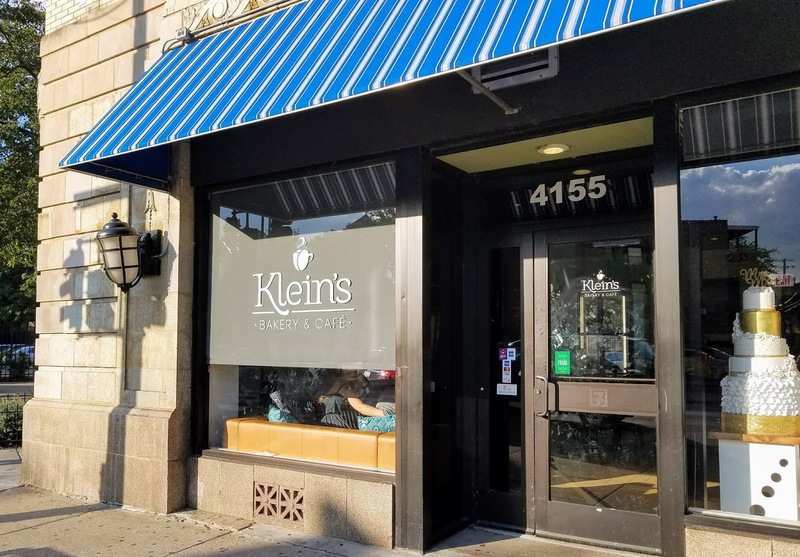 If you haven't tried Klein's yet, we recommend giving them a try. They are open 6:30am-8:30pm weekdays, 7:30am-8:30pm Saturdays, and 7:30am-7:30pm Sundays. Cool can't wait to try! 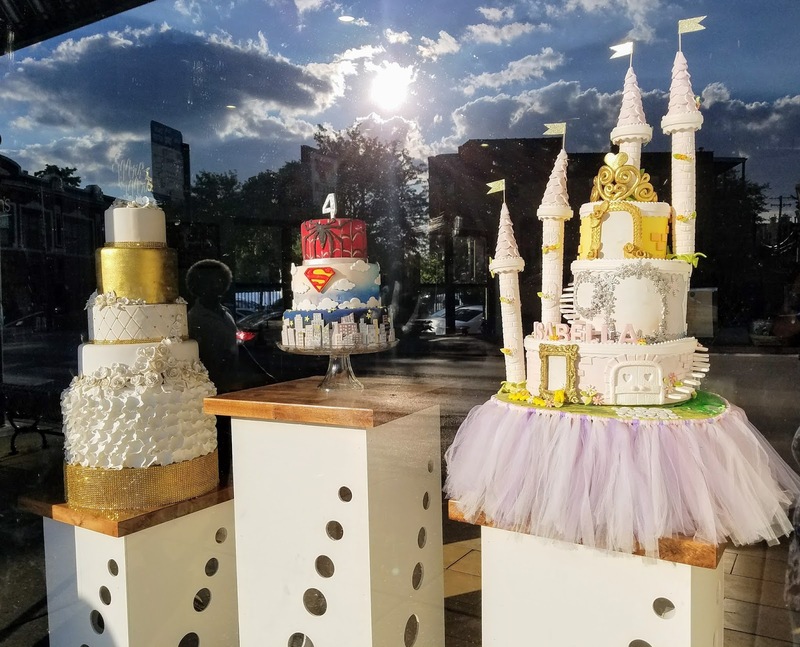 Welcome and good luck to a new local business!